Background: In my posting yesterday, “For the season: from fish to moose, penguin intervention”, #1 is a Boynton take-off on the Christmas carol “We Wish You a Merry Christmas” (that’s the “from fish to moose” part). On from there to peppernuts (always called Pfeffernüsse (well, Feffernusse, with /U/ in the second part) in the piece of Germanic America I grew up in). 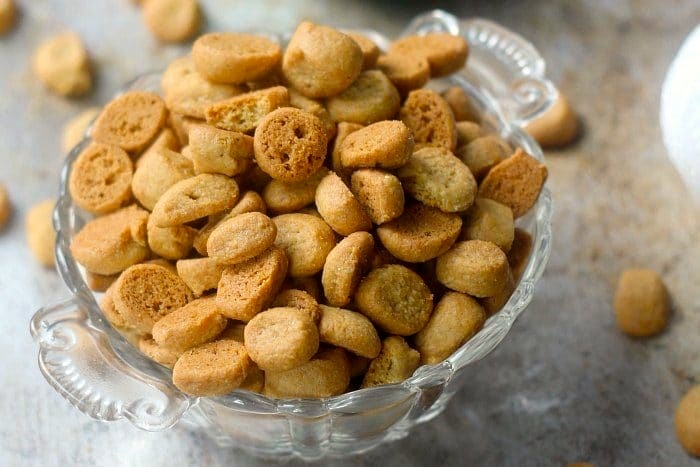 While the exact origin of the cookie is uncertain, the traditional Dutch belief links the pepernoten to the feast of Sinterklaas, celebrated on 5 December or 6 December in The Netherlands and 6 December in Germany and Belgium. This is when children receive gifts from St. Nicholas, who is partially the inspiration for the Santa Claus tradition. 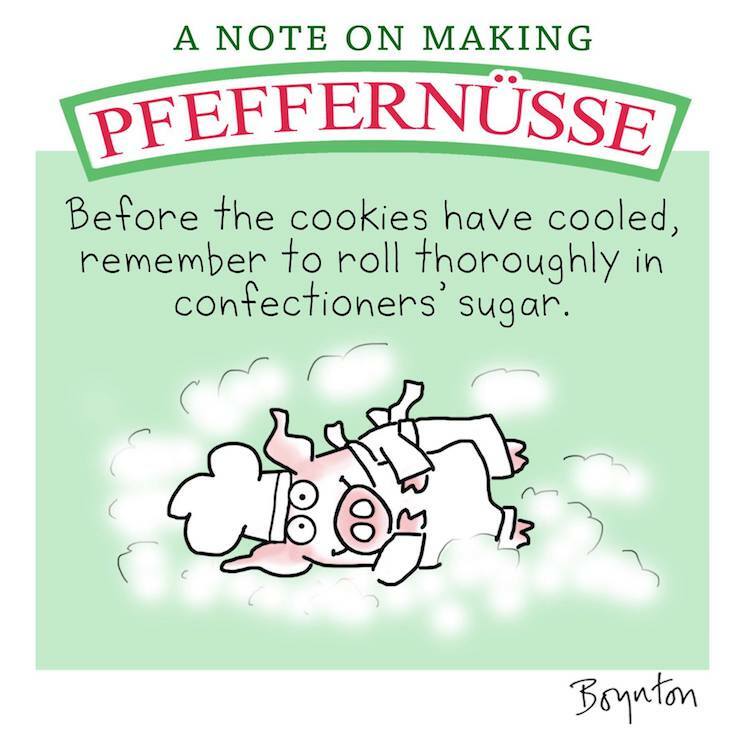 In Germany, the pfeffernuss is more closely associated with Christmas. The cookie has been part of European yuletide celebrations since the 1850s. Throughout the years, the popularity of the pfeffernüsse has caused many bakers to create their own recipes. Though recipes differ, all contain aromatic spices – most commonly cinnamon, cloves, mace, nutmeg, cardamom, and anise. 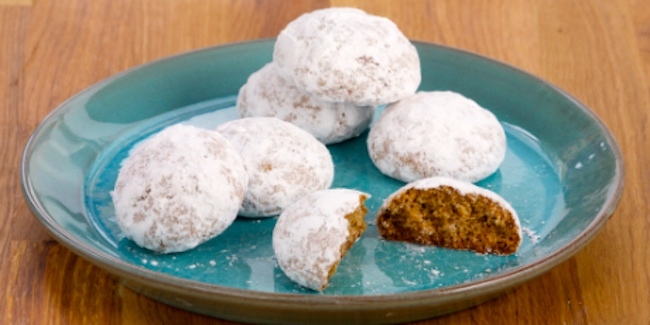 Some variations are dusted with powdered sugar, though that is not a traditional ingredient. 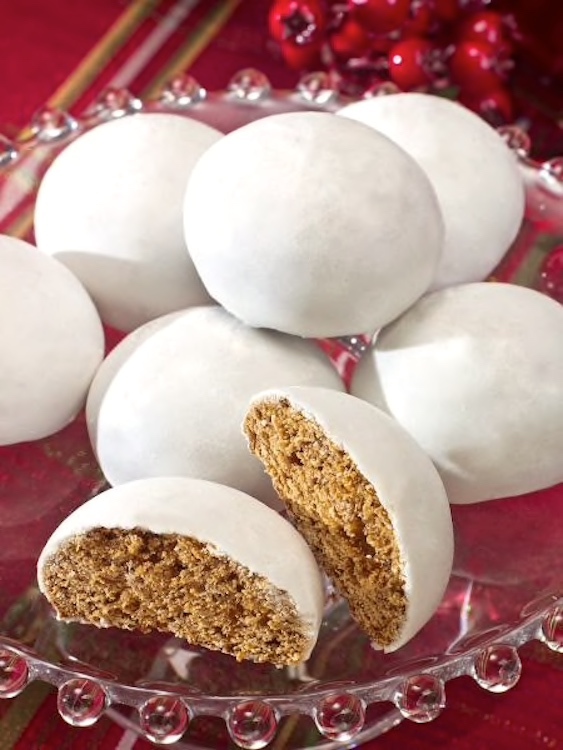 Molasses and honey are also used to sweeten the cookies. For the dough, most versions still use 19th century ingredients such as potassium carbonate and ammonium carbonate as leavening agents to get the sticky and dense consistency of the original mixture. It is then either kneaded by hand or through the use of an electric mixer. They get larger as they get more serious; by #4 they have clearly crossed the line from COOKIE to CAKE in the domain of food categories. Peppernut the N + N compound. N1 PEPPER + N2 NUT. First, it’s non-subsective: resembloid instead. A peppernut is not a nut, but resembles one (in size, shape, and crunchiness). Then, the semantic relationship between the referents of the modifier N1 and the head N2: not Source, not Agent/Subject or Patient/Object, not Use, and so on, but Resemblance: the referent of N2 (the cookie) resembles in some way — in this case, by being spicy in taste and smell — the referent of N1 (black pepper). absolute intransitive roll: Want to get all sticky? Roll in confectioner’s sugar for a few minutes. roll without ROO: Take the cooled cookies, and roll them (or: the cooled cookies) in confectioner’s sugar. For the verb roll, omission of a definite direct object is not generally possible; it’s an instruction-register thing. So that when the example is wrenched from its recipe context, you’re likely to take that roll to be an absolute intransitive. Laughter ensues. This entry was posted on December 24, 2018 at 3:54 pm and is filed under Ambiguity, Argument structure, Categorization and Labeling, Compounds, Holidays, Language and food, Linguistics in the comics, Style and register, Subsectivity. You can follow any responses to this entry through the RSS 2.0 feed. You can leave a response, or trackback from your own site. Every year at this time (in this case, yesterday, Dec. 24), we make Rum Balls from the recipe in the Settlement Cookbook. The last sentence of that recipe is, verbatim, “Then roll in confectioner’s sugar”.